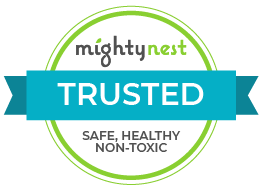 Germ Destroyer is part of Plant Therapy's KidSafe oils collection. It is a blend of 100% pure undiluted essential oil free from any additives, chemicals or pesticides. It is gentle on children but is strong on bacteria and viruses. It can protect you and your little ones from getting sick by destroying the germs in your home. Germ Destroyer is as effective as Germ Fighter but is safer for young children. Diffuse Germ Destroyer and help everyone stay healthy or recover more quickly. Dilute between 1% and 3% using your favorite carrier oil for topical applications. I got this because my whole family was starting to get sick (6 of us). I immediately started "diffusing" it by dropping a drop here and there around the house, and a drop on the top of each (only the 3 older) child's shoe. I am amazed at the result... the two parents and two older kids were well by the end of the day, the almost two year old was good by the next day, and only the 1 year old still has a snotty nose (but it did make her cough - which she had had for a week - go away within a day). The major bonus is that this blend smells amazing! It smells fresh and a little sweet - very pleasant. The adult version (germ fighter I think it's called) smells ok but is quite strong and has cinnamon, so obviously is a spicier scent. I use this one even for the adults because it smells so lovely! I diffuse it (in a real diffuser, lol) at night in our room.